State security forces of Sierra Leone are playing a central role in the fight against the Ebola virus. It’s therefore very important that the Police Force of Sierra Leone act in a manner that does not violate the basic human rights of the people. However, this has not been the case as there have been several reports of extortion and excessive use of force by security forces responding to the Ebola crisis, notably during the enforcement of quarantines and the restriction on trading hours of traders and market women. 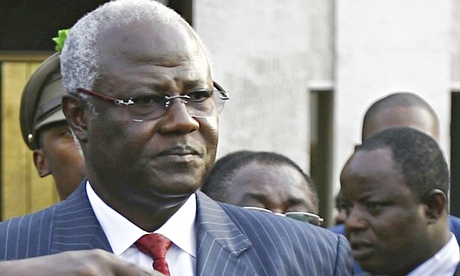 During my two-month stay in Sierra Leone I was a witness to police brutality and extortion. Police officers at the numerous check-points extorted money from drivers and harassed passengers travelling to other districts. Moreover, I witnessed police officer extorting money from top-up sellers, street hawkers and other petty traders. Officers raided these ‘hand-to-mot’ traders, arrested them, threw them at the back of police trucks and whisked them away to the police station. At the police station they would give these poor traders the option of choosing between being charged to court for breaching the emergency measures or paying a bribe to get their freedom. The arrested traders chose in most cases the latter option. Two weeks ago I was a witness to the police using excessive force on traders who breached the Emergency Regulations by not closing their businesses at 6pm. The police arrived in a riot bus, armed with canes at Sani Abacha street, Rawdon street and P.Z. 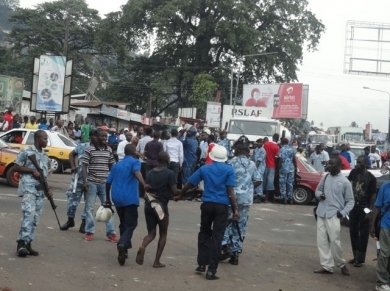 They started caning and arresting people suspected of contravening the emergency measures. The Police officers were very brutal and ruthless in dealing with their Sierra Leonean brothers and sisters who were simply trying to make ends meet. They chased, beat, kicked and threw them at the back of a police riot vehicle like a bag of palm kernel. Why did the police use a riot vehicle? Was there any sign of rioting? Absolutely not. The most disheartening thing about the whole incident was the police asking the poor traders to hand over huge sums of money to guarantee their freedom. The behaviour of the so called ‘Force for Good’ is in contravention of the Emergency Regulations, the constitution, international human rights law and international standards. Section 5(1) of the Emergency Regulations gives the power to the police to enforce the emergency measures that have been put in pursuant to the Regulations. There is nowhere in the Regulations that states that the police force has the power to beat people who breach the Regulations. Neither is there anywhere in the Regulations that gives the police the power to extort money from law-breakers. It is the duty of the police to arrest and file charges against people who break the law. It is the responsibility of the judges to look at evidences produced by the police and determine whether an accused is guilty or not. The police, by extorting money – a sort of fine that will never go to the coffers of the state, from the accused and beating them, have also become the judge and the jury. They are sitting in the chair of a judge; they are punishing the accused for the alleged commission of a crime. This is totally wrong. It is against the rule of law, human rights and democratic principles. The police, in executing their duties, did not adhere to the UN Code of Conduct for Law Enforcement Officials and the Basic Principles on the Use of Force and Firearms by Law Enforcement Officials. The Basic Principles stipulates ‘that law enforcement officials must use non-violent means as far as possible, before resorting to force. Whenever the lawful use of force is unavoidable, law enforcement officials must use restraint, minimize damage and injury at all times, and respect and preserve human life’. The authorities ‘should ensure that credible allegations of human rights violations and corrupt practices by members of the security forces, regardless of rank, will be investigated and that those responsible will be disciplined or prosecuted’. International human rights law requires that restrictions on human rights in the name of public health or public emergency meet requirements of legality, proportionality, and evidence-based necessity. Restriction of traders’ activities must, at a minimum, be provided for and carried out in accordance with the law. ‘They must be strictly necessary to achieve a legitimate objective, the least intrusive and restrictive available to reach the objective, based on scientific evidence, neither arbitrary nor discriminatory in application, of limited duration, respectful of human dignity, and subject to review’. The government’s decision to stop traders and market women from doing business after 6pm and the suspension of trading on Sunday until further notice has frequently not met these standards. The restriction ‘has not been scientific-based, has been applied arbitrarily, and overly-broad in implementation‘. 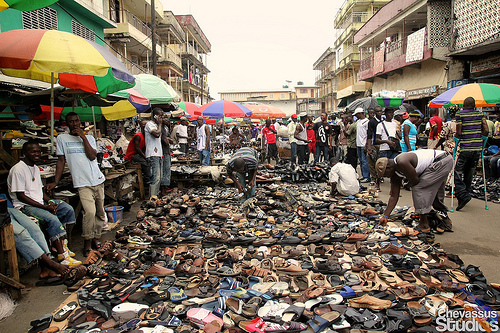 The restriction has led to last-minute rush of people in Ebola-stricken areas to get their daily bread. In that rush more touching and hugging are taking place, which may have caused many more infections. This restriction has become ineffective from public health perspective and ‘disproportionately impacting people unable to evade the restrictions, including the elderly, the poor and people with chronic illness or disability. 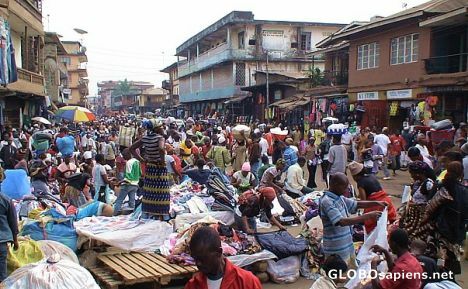 The restriction on the business hours of traders and market women and the enforcement thereof is not reasonably justifiable. There have been reports of police brutality and extortion throughout the country. There have been discussions and debates on these issues throughout the country. Yet, the government has taken no action to stop police brutality and extortion. In a modern democracy, parliament which consists of representatives of the people makes laws. The judiciary, under the doctrine of separation of powers does not make the law or enforce the law, but rather interprets the law and applies it ‘to the fact of each case’. It does this in the name of the state. Being part of the executive arm of the government, the police play a very important role in enforcing laws made by parliament and executing sentences and verdicts meted out by judges in a court of law. They are therefore expected to do this in accordance with rule of law, and democratic and human rights principles. The security forces like the police are very instrumental in the fight against Ebola in Sierra Leone. The president, in exercise of the powers conferred upon him by subsection (5) of section 29 of the Constitution, can make regulations. By virtue of this section, the Public Emergency Regulations came into effect on 18 August 2014. Section 5, subsection 1 of these Regulations stipulates that the Sierra Leone Police Force shall have the power to restrict the movement of persons and vehicles to and from areas declared to be epicentres of the Ebola disease. In addition, according to the Regulations, they have the power to protect healthcare providers engaged in the care of persons infected or suspected to be infected with the Ebola disease. This section of the Regulations also gives authority to the police to conduct regular patrols to maintain law and order. A state of public or health emergency should be carried out in accordance with the law, international human rights standard and principles. The fight against Ebola should go hand in hand with the respect, protection and fulfilment of human rights. The police, in carrying out their duty as enforcers of the law, should adhere to the law, international human rights standards, UN Code of Conduct for Law Enforcement Officials and the Basic Principles on the Use of Force and Firearms by Law Enforcement Officials. Fight Ebola, not human rights. The author is a Dutch-Sierra Leonean human rights lawyer. He spent almost two months in Sierra Leone to help fight Ebola. 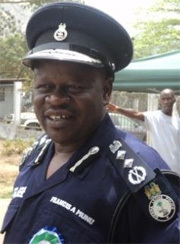 He is the Executive Director of Human Rights and Democracy Alert(HuRiDA), a member and International Representative of National Human Rights Defenders Network of Sierra Leone. The police were on the SLBC radio this morning denying that they do take bribes. They are the most corrupt institution in our beloved mama Salone.